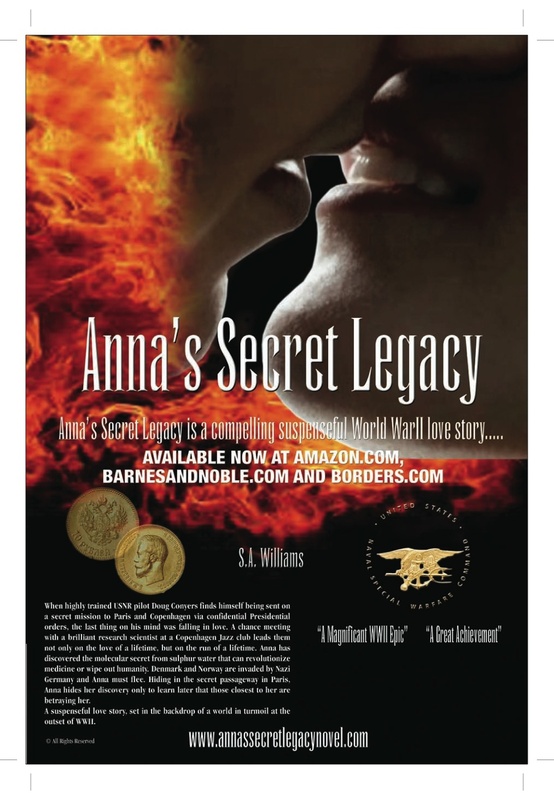 Anna’s Secret Legacy- Stunning literary hit with record sales @ Mid Atlantic Museum’s 21st Annual World War II Weekend! Anna’s Secret Legacy is a stunning success at book signing WWII event this weekend! Great Air Show attended by over 30,000 people! Thanks so much to all our new fans and friends from The Mid Atlantic Air Museum’s 21st Annual World War II Weekend! Anna’s Secret Legacy was a fabulous success with record sales. We met so many interesting people with their own unique and wonderful stories. Thank you to those who shared their time and support of Anna’s Secret Legacy. This entry was posted in Amazon, Anna's Secret Legacy, Anna's Secret Legacy Blog, Annas secret legacy novel, Avalon, Banks, Barnes & Noble, Book Blog, Book Signing, Borders, Gold, Love Affair, Love affair, Philly Ad club, Pilots, Pressroom and events, Saratoga, Scientific Discovery, spies, Travel, World War II. Bookmark the permalink.